Welcome to Meet the Teacher – CodeMonkey’s blog segment where teachers from all over the world share their experiences on what it’s like being an educator. 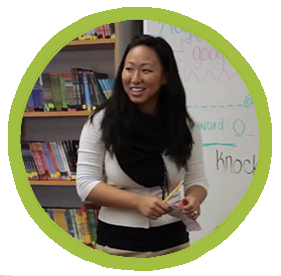 Today’s post features Jenny Anderson who is a K-5 STEM and Design Teacher at Casita Center in Vista, CA. “Being a connected educator is three-fold. First, you need to build a strong rapport with your students. Know them on a personal level and understand how they learn and what will get them excited. Being connected to your students is the most important aspect of being an educator. Secondly, being connected to others such as parents, teachers, and the community is also critical. It takes a village to raise a child and this task will need strong collaboration connections. Lastly, being connected to the world. Understand what’s going on and the different cultures will allow a teacher to ultimately evolve with the times and build a connection with the kids”. Kids enter the world of education with all kinds of backgrounds. I can’t choose what kids I get to educate. However, I get to choose my lessons and I get to choose how to inspire and empower them. I get to choose how to excite them. This opportunity to share my knowledge and to hopefully inspire them to love to learn is what I enjoy most about teaching. I love that I get to wake up everyday and love my career”. Think you know a teacher that should be featured? Let us know! Previous PostPrevious NOAH Startup Competition: Voting Open!